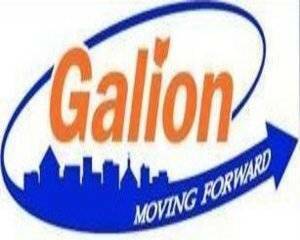 GALION — Tuesday’s meeting of Galion City Council focused on an ordinance which will determine upcoming projects that the city will be submitting for Freese Grant approval. A total of four projects are being considered for grant approval. Two are public restroom facilities, one of which will replace the existing restrooms at Heise Park and the other at the new Big Four Depot Pavilion. The current restroom facility at Heise Park was originally built around 1960, and has only been remodeled once since then. The Depot Pavilion currently does not have a restroom facility. The cost of each restroom will run $70,000, plus an additional $15,000 for the demolition of the current facility at Heise Park. Both restrooms will comply with the Americans with Disabilities Act. A third project will be the resurfacing of the Heise Park basketball courts. The courts have needed attention for some time and are somewhat of a safety issue because of the cracks in the current pavement. The approximate cost for this project is $28,000. The fourth project being considered for submission is a multipurpose recreational trail for the city. While the project has been looked at for many years, the funding has not been available. The city has applied for various grants through the state to get the project off the ground, but has never been approved. The decision was made to break the project up into phases to cut down on initial costs. The amount being requested from the Freese Grant for the first phase of this project is now $300,000, as opposed to $600,000 for the entire project. Read more about the city’s plans for the trail in Wednesday’s Galion Inquirer. The ordinance will go before City Council for a second reading on April 10th and will reflect the amended amount of money being requested. If passed, the request will go before the Freese Board at their next meeting on April 17th.